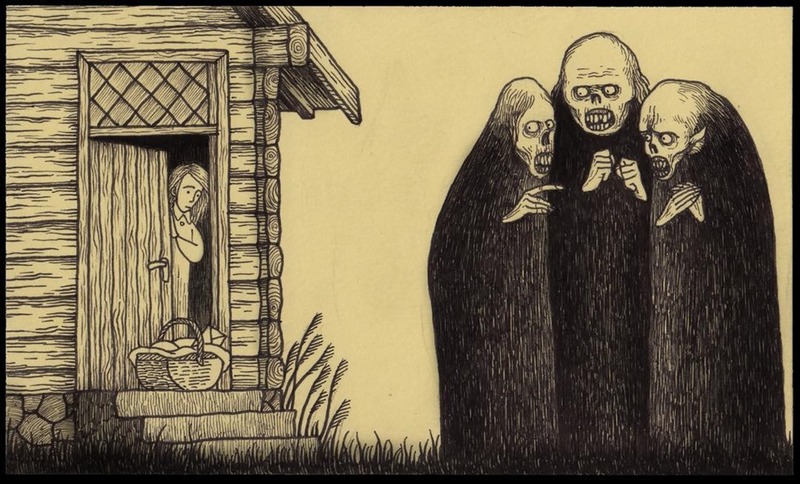 After a long absence, John Kenn Mortensen's Three Witches have returned. 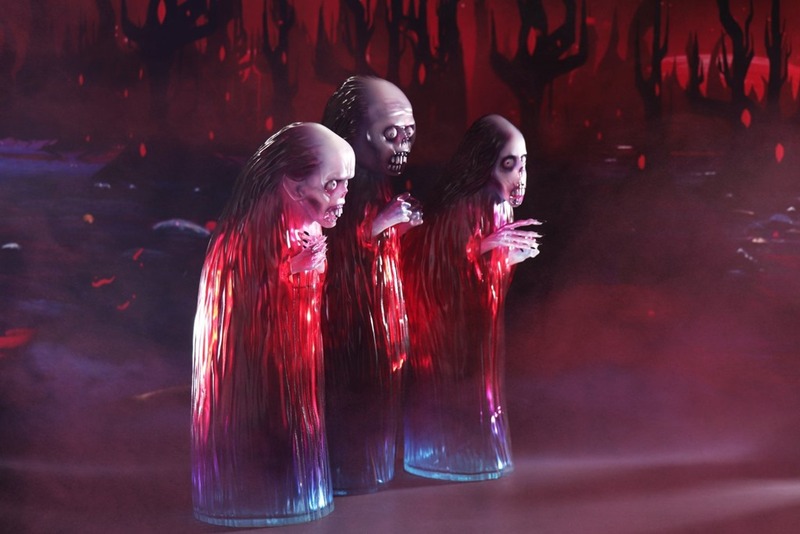 Unbox will release the Three Witches Blood Wake edition on Saturday (3.30) at 8 AM PDT for $176 from the Unbox shop. 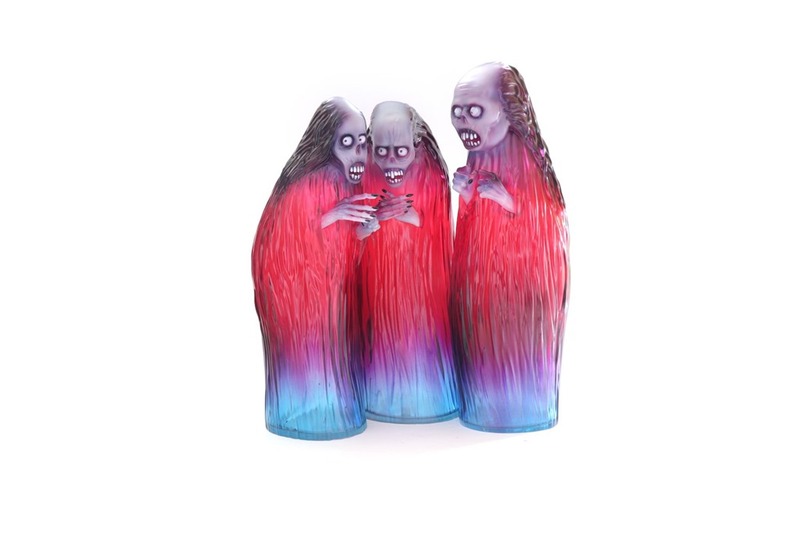 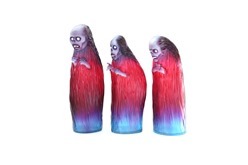 The newest colorway of the post-it artist's coven is cast in clear translucent resin with a gradient of red, purple and blue sprays evoking the edition's name. 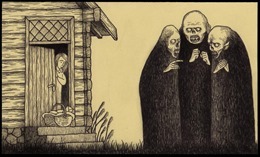 The figures are based on one of Mortensen's original post-it drawings featuring the witches seemingly plotting outside the house of a nervous villager eyeing them through his partially opened front door. 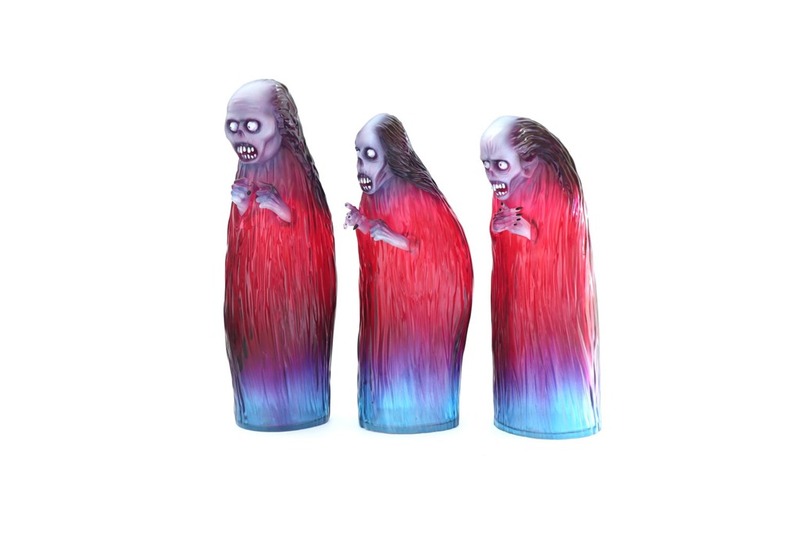 In other Mortensen toy news, Unbox has also recently previewed an upcoming release of The Vampyres in what appears to be the same colorway.